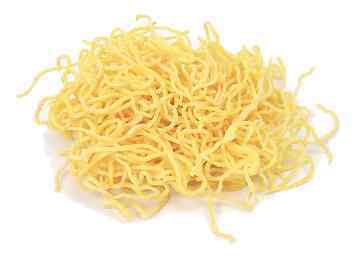 crispy chow mein noodles = crunchy chow mein noodles = fried chow mein noodles Notes: These fried noodles add crunch to Chinese chicken salad. 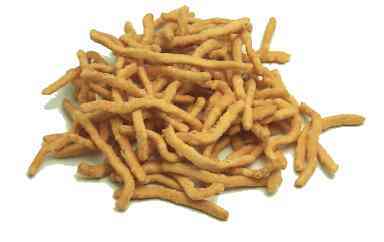 They're also used, improbably enough, to make chocolate haystack cookies. 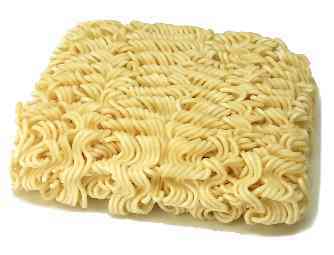 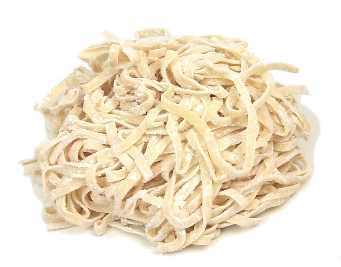 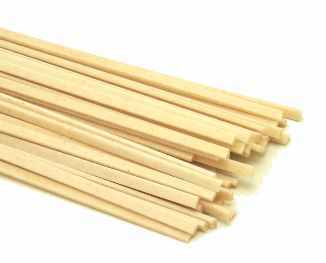 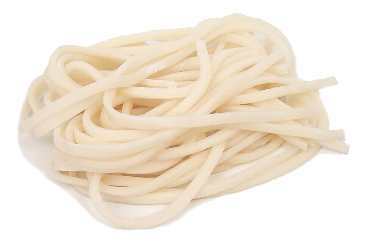 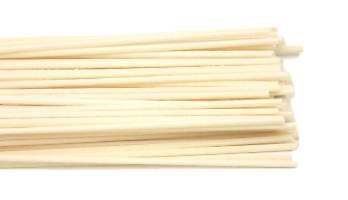 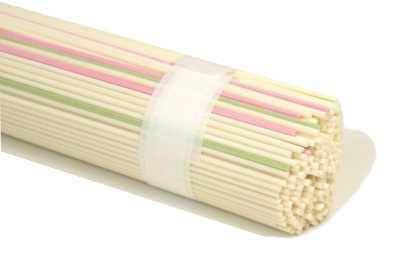 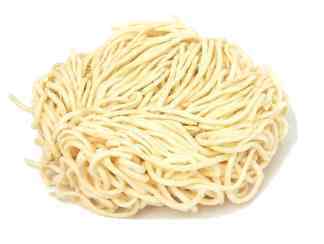 Don't confuse this with Chinese wheat noodles, which are also sometimes called chow mein noodles. 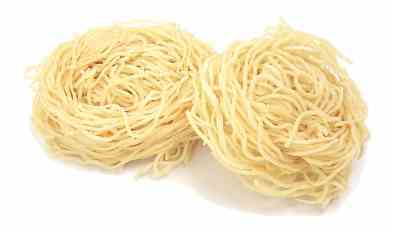 Substitutes: rice vermicelli (Deep fry these until crunchy. 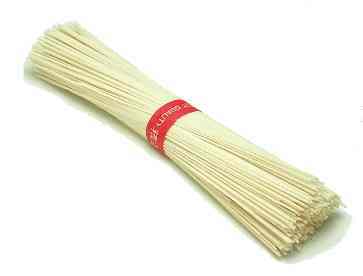 These are often used in Chinese chicken salad.) 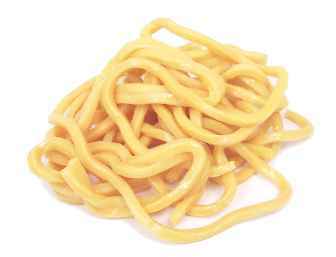 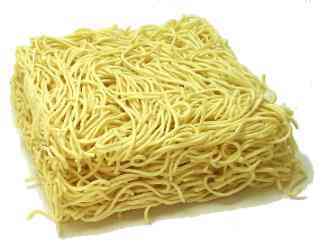 OR Cook spaghetti, then deep-fry a few noodles at a time until golden. 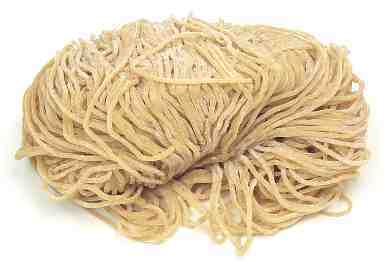 Hokkien noodles Notes: These egg and wheat-flour noodles are popular in Malaysia and Singapore. 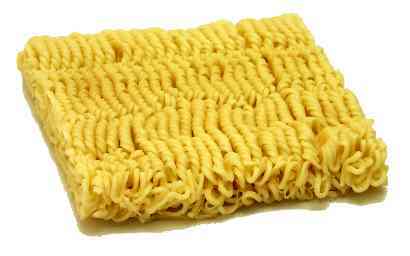 They look like thick yellow spaghetti. 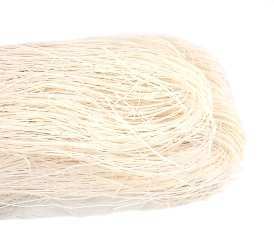 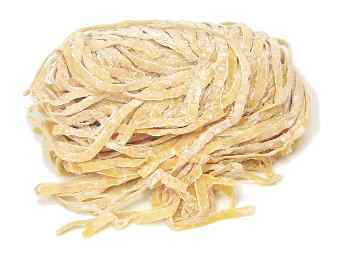 mi chay = m� chay Notes: These are Vietnamese wheat noodles.